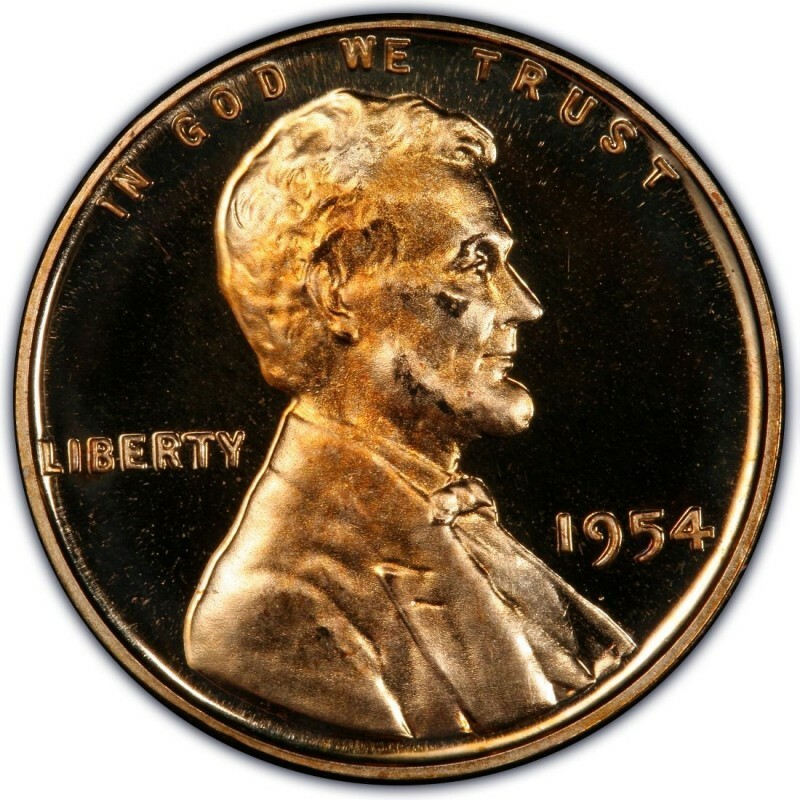 Amid a decade during which more than one billion Lincoln Wheat Pennies were struck each year, 1954 stands out as the lowest production year for the Pennies in the 1950s. Still, the 1954 Penny is by no means a rare coin. 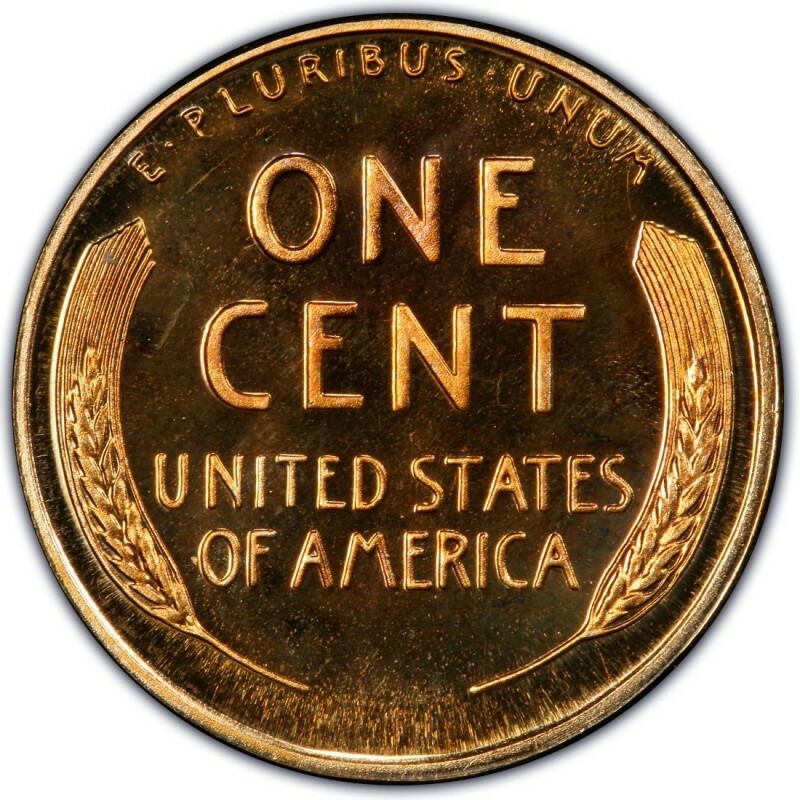 Lincoln Pennies were struck at all three mints operating in 1954. 71,640,050 were struck at the Philadelphia Mint, 251,552,500 rolled out of the Denver Mint, and 96,190,000 were manufactured at the San Francisco Mint. One will pay slightly more for 1954 one-cent coins compared to other 1950s, particularly for examples struck at the Philadelphia mint. However, even at 25 to 50 cents for a 1954 Philadelphia (no mintmark) Penny, you certainly won’t go broke filling any holes in your album that necessitate coins from that year. Nice, brown specimens are plentiful in circulated grades, whereas you should have to exert little effort to find beautiful, red 1954 Pennies in the Mint State grades. By the way, 1954 Lincoln Pennies in the low to middle uncirculated grades will set collectors back only $3 to $5. You might also consider looking into the ultra-grade Pennies from 1954 – those that grade Mint State 67 or higher, according to the Sheldon Coin Grading Scale. While scarce, they definitely make an eye-popping addition to any coin collection of Lincoln Cents. When assembling a set of 1954 wheat Penny coins, don’t forget the proof issues from that year. 233,300 were made, and can be had for $15 to $20 each. Do yourself a favor and spend a little time looking for brilliant, spot-free proofs, as these flashy proofs are dazzlingly eye-catching and can add great value to any collection of Lincoln Cents.